Blazing hot and sunny weather until 5 pm, then a thunder shower. This is the summertime weather I remember from childhood. The daylilies are blooming spectacularly. I dug up a 3-gallon bucket of daffodil bulbs from the south side of the house. They will be in the way of heavy machinery whenever work begins on the house addition, and our builder, David, tells me we must do some regrading on that side of the house to correct an emerging drainage problem. Either the bulldozer will move the bulbs or I must. 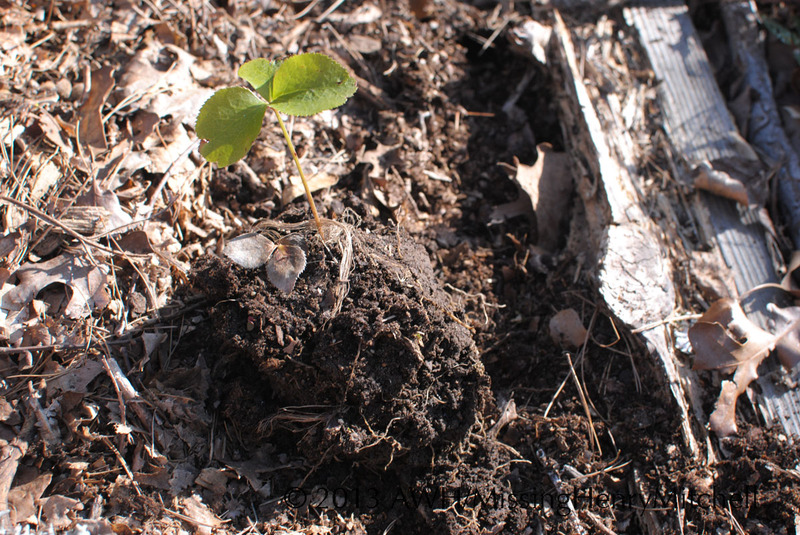 Dug up and potted the Hydrangea quercifolia that has been looking so forlorn this spring. My theory is that its water-to-sun ratio is dreadfully out of whack this super-soggy season. It has mostly defoliated itself but the wood is still green. I pruned back hard and put the pot on the deck near the potted fig. Lots of baby figs on the tree; I hope they hang in there. 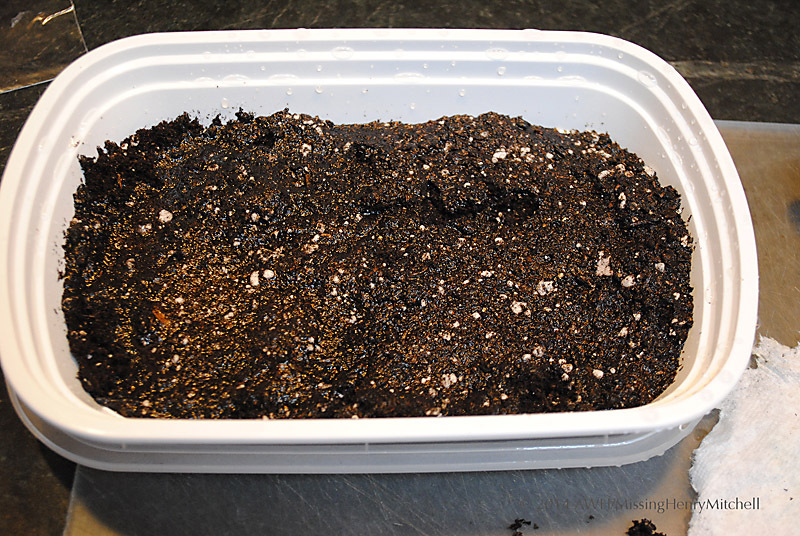 Transplanted more coreopsis and Campanula persicifolia from the winter sowing project. 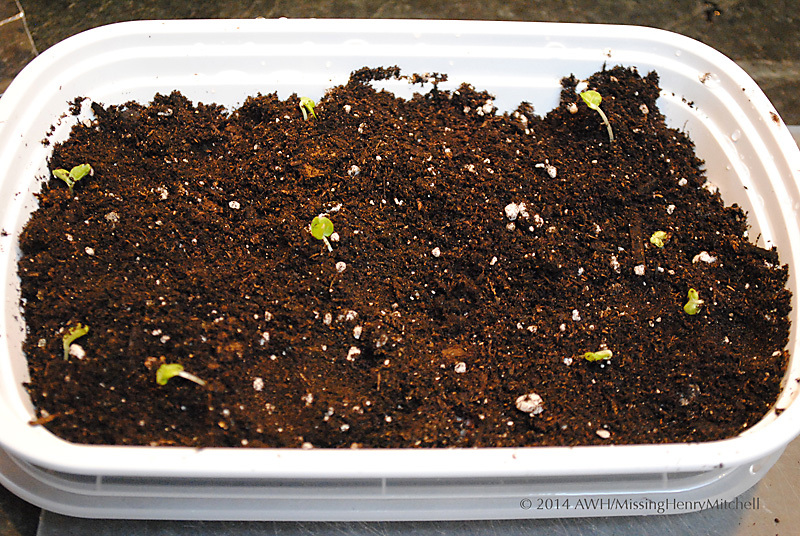 I hope to get everything transplanted before it is time to gather seed for next year’s sowing. I am getting there, but very slowly. Collected some seed pods from Paeonia ‘Festiva Maxima’ to see if I can grow those from seed. I understand I should not expect flowers from such plants for at least four years, but it will be a fun experiment if I remember not to throw out what will look for a long time like a forgotten pan of dirt. Imagination is such an essential companion to gardening. I recently read Gayla Trail’s post about her fear of growing hellebores. I was surprised to learn that many people seem to feel trepidation about growing these plants. They are pricey, certainly, but for me they have been so easy as to be almost ridiculous. I have given mine absolutely no coddling and while my soil isn’t the worst in the world, I think, it isn’t going to win any “Best Tilth” awards, either. I am conducting a little experiment, then, to see just how tough a hellebore can be. My only expectation is that at least one of these clumps should thrive in spite of me. 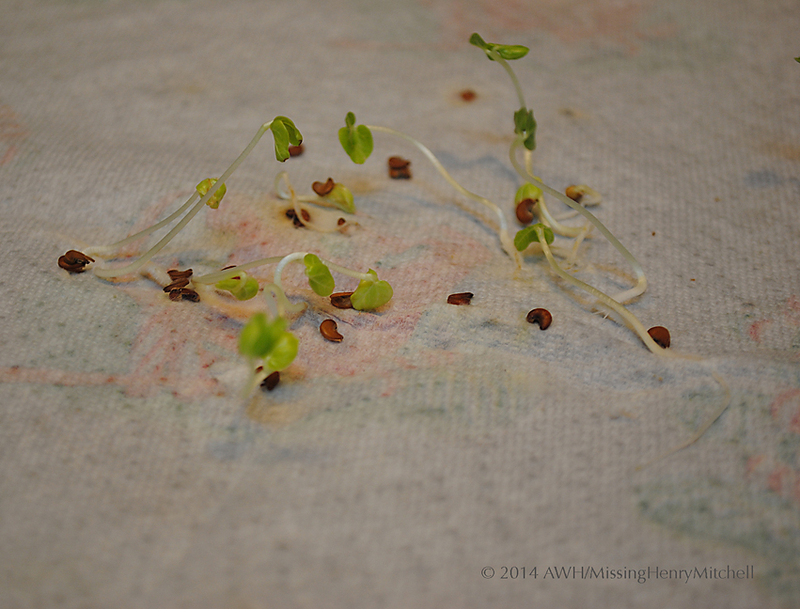 I dug up a few clumps of seedlings with my beloved garden knife. Note the exemplary growing conditions. Yes, they’re growing in mostly gravel. They do not require this kind of drainage. Dig a hole the same size as the transplant (no larger). Plop it into the hole (do not amend soil). Return periodically to assess progress or demise. Test Plot A: The kids’ playhouse. Just above the concrete block on the left of the photo is a window from which the children pretend to sell ice cream. It gets plenty of foot traffic. This is also the landing site for the bucket on a pulley, which hoists things to the fort’s lookout level. The soil here has never been amended, unless you count the occasional covering with a wood chip mulch to cut down on the mud. This site is in deep shade and grass can’t grow here. Assuming similar conditions to neighboring undeveloped garden spaces, the pH here is 4.8. 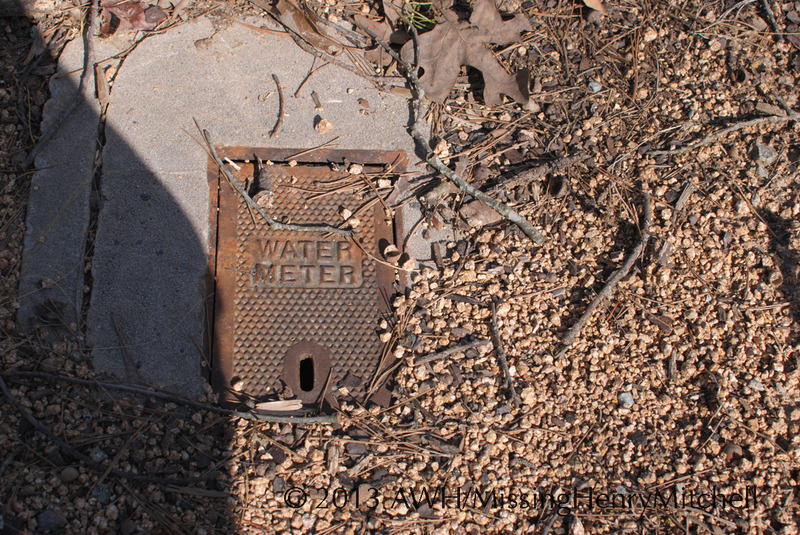 Test Plot B: West-facing gravel scree atop the water meter. This site receives neither foot traffic nor love. The most human attention it gets is a scowl from me as I leave the driveway, thinking “I have got to do something about that space.” May occasionally receive attention from dogs being walked. There are lots of neighborhood dogs. 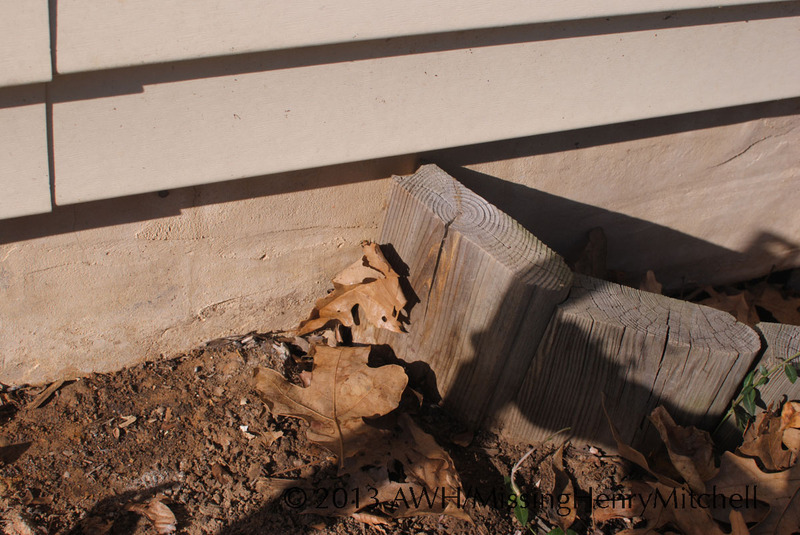 Test Plot C: South-facing, against the concrete foundation. The soil here is completely untended, rock-solid clay. I expect it to receive some foot traffic as it is in the access path for any people and equipment who will be working on the addition to our house this summer. Test plot D: No-man’s land behind the shed. Test Subject D, slightly more mature than its counterparts, will live above ground, simply in the clod in which it was dug up. 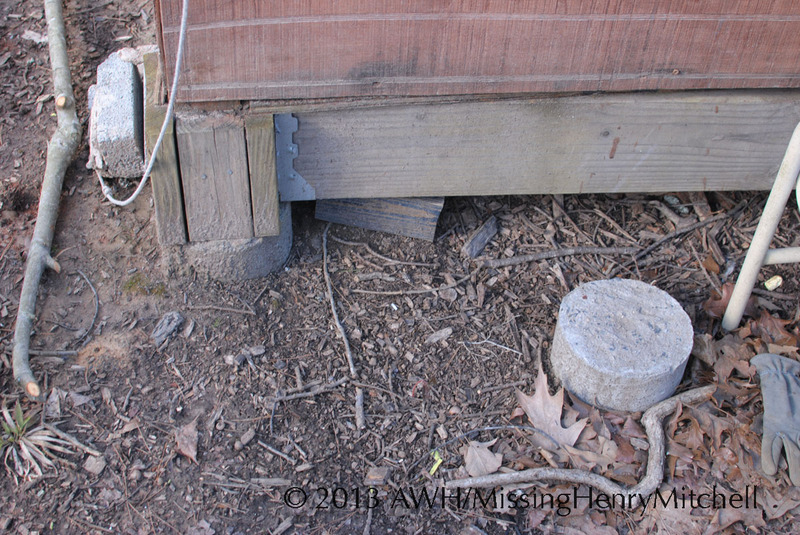 This is in a shady site behind my shed, where large pots and leftover bricks are stored. Planting technique, Test Subject A. Stab a hole in the ground with knife. 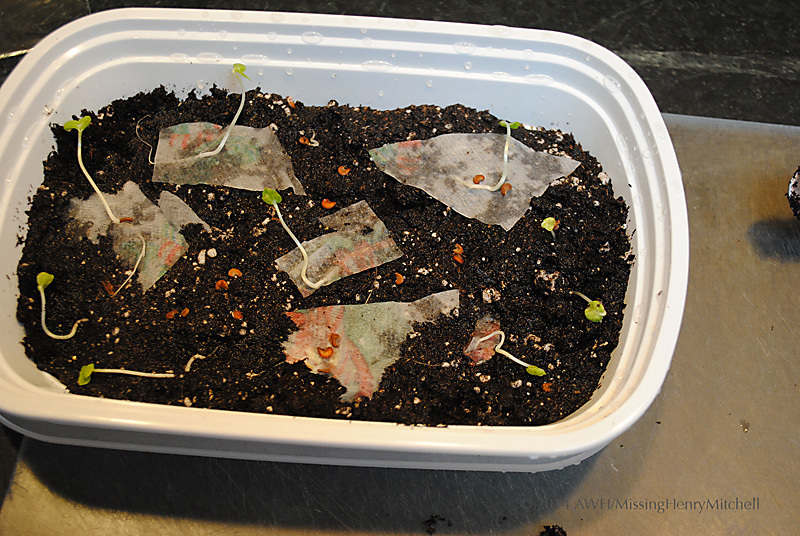 Planting technique, Test Subject A: Drop in seedlings. Test Subject A: Smush hole closed with toe. Planting technique, Test Subject B: Scratch a hole in the gravel. 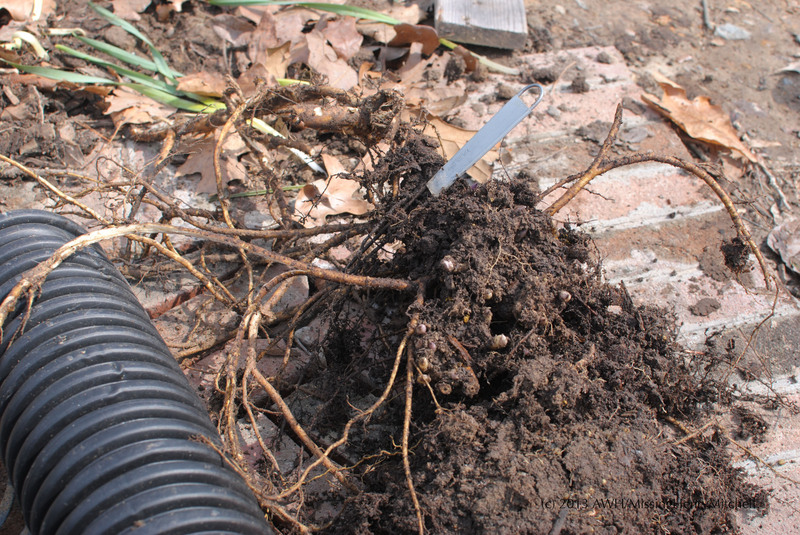 Note the soil depth. Planting technique, Test Subject B: Kick gravel back over seedlings. 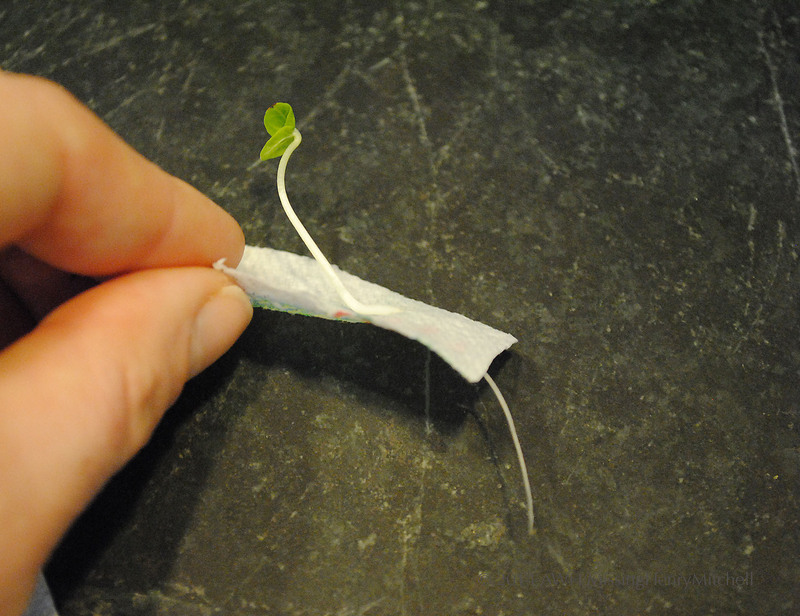 Planting technique, Test Subject C: Pierce soil with knife as with previous subjects. 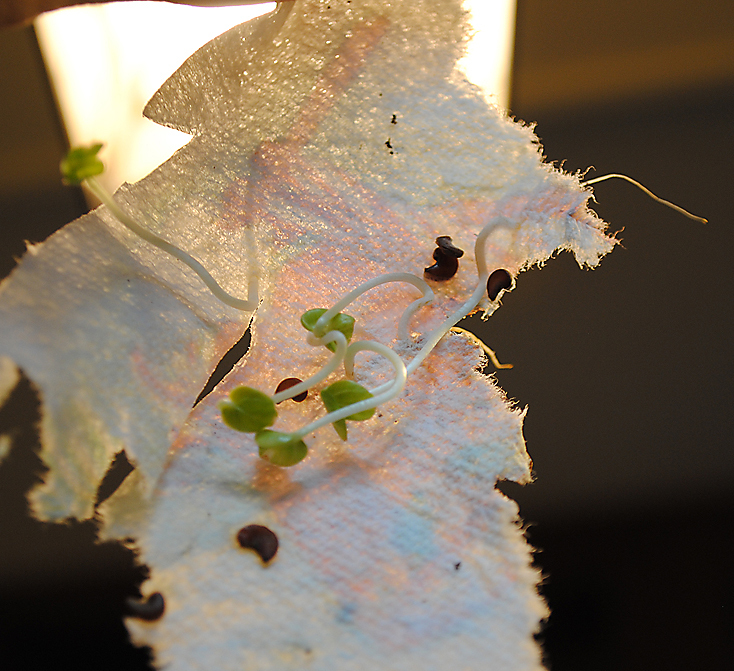 Drop seedlings in. Planting technique, Test Subject C: Kick dirt over hole and walk away. Planting technique, Test Subject D: Drop it and run. These test plantings were established and photos taken on March 28, 2013. We’ll check in periodically and see how they fare.